“To compete or not to compete?” challenged John Riker, managing director of the Blue Ocean Strategy Initiative Centre, a participant during the first day of the Foreign Investors Summit. The blue ocean strategy – which argues that companies succeed not by focusing on the competition and thus “red oceans”, but rather by creating ″blue oceans″ of uncontested market space – made the case that the strategy itself applies not only to economic players but to countries as well. “How can Romania create a blue ocean of market space for itself?” asked Riker. For starters, Romania already makes a compelling case for investors, panelists throughout the day pointed out. The economy is looking “more than better”, posting an economic growth rate that is surprising in the European Union, said Daniel Daianu, member of the administration board of the National Bank of Romania. It is also distinguishing itself from other countries in the region. “The FDI flow is growing and will reach a post-2008 record,” said Codrut Pascu, senior partner and managing director of Roland Berger. In fact, Romania currently ranks first in the CEE cluster, said Pascu, citing the good macroeconomic figures and economic policy stability. In terms of direct taxation, Romania is a competitive destination for investors, although social contributions continue to be burdensome, argued Mitel Spataru, tax manager at Finexpert Consulting. 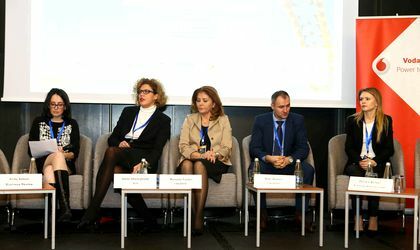 The availability of state aid gives Romania an additional competitive advantage and makes a strong case for investors to come and invest here, especially as the state aid program consists of cash and not fiscal facilities like elsewhere in the region, added Manuela Furdui, managing partner of Finexpert. All in all, when it comes to competitiveness versus its neighbors, Romania is among the winners, she went on. However, not all is rosy and there are still issues that need to be addressed, one of the most pressing remaining the slow development of transport infrastructure. 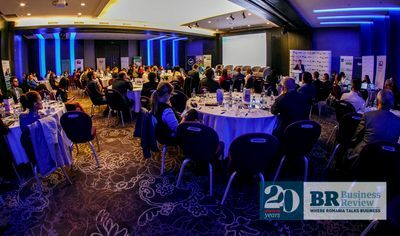 The lack of good infrastructure is one of the biggest obstacles to major investments, stressed Ioana Gheorghiade, executive director for public sector and infrastructure financing with BCR. Public-private partnerships would be a viable alternative and it would include the use of public money and European funds, she noted. However, the most urgent issue raised by investors during the event had to do with the local labor market. “We have an exodus of human capital,” said Daianu. “There is a lack of labor force.” Romania needs to retain its workers and ideally attract back some of those who have already left if it wants to ensure sustainable growth for the years to come, commented panelists. Any talk about strategies for development should take this into account, they urged. The government should focus on the reasons why human capital is flowing out of the country and meet the basic requirements so that fewer people have reasons to leave, argued Jorg Menzer, partner and head of CEE offices with Noerr. One way of moving forward in this direction would be to tackle the growing inequality, suggested Carmen Marcus, economic counselor with the Representation of the European Commission in Romania. “There is a paradox. Romania has one of the highest economic growth rates in the EU but at the same time, 40 percent of the population is at risk of poverty. So in terms of the blue ocean strategy one might say that 40 percent of the population are ‘non-users’ of the economic growth,” she outlined. Demand-side policies like last year’s tax cuts and salary increases do not promote sustainable growth and these need to be complemented by supply-side policies and further structural reforms, added Marcus. Eric Stab, president of the Foreign Investors Council, said it was possible for Romania to become one of the top ten economies in the EU. “Romania has to create trust and remove the regional disparity. Unfortunately, the whole country is not growing at the same pace,” said Stab. The authorities too agreed that “the future challenge for Romania is not necessarily capital, but people and skills and talent,” said Dragos Pislaru, minister of labor. Some of the programs the government is presently working on should lead to that, said Claudiu Vrinceanu, secretary of state with the Ministry of Economy, Commerce and Relations with the Business Environment. Some fresh wind in the sails of the local economy should come over the next period from measures such as the Competitive Romania plan, a tax exemption for R&D workers, the promotion of vocational training and the scaled-up state aid scheme, he noted. The latter has a RON 200 million budget that targets medium-sized investments and aims to promote investments in poorer areas, and will be rolled out next year, said Vrinceanu. Should the country be able to tackle its growing human capital issue, the country could outperform its present growth rate, said panelists. “Five percent growth is your red ocean. Keep it going,” concluded Riker, adding that it should be complemented with blue ocean elements such as the location of the country, plus the health and education systems.